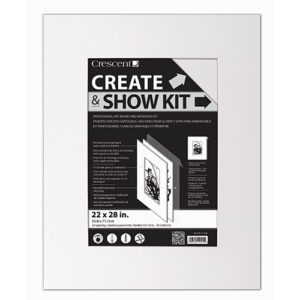 The Create & Show Kit was designed to make creating and presenting art faster and easier for professional artists as well as students. Artists will enjoy the ease and convenience of saving both time and money in preparing for shows. 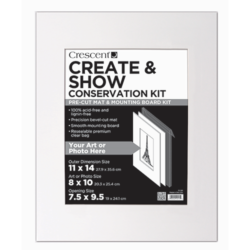 The kit features a heavyweight multi-media art board and a gallery-style pre-cut mat that fits standard frames. A crystal clear resealable display bag protects your art.